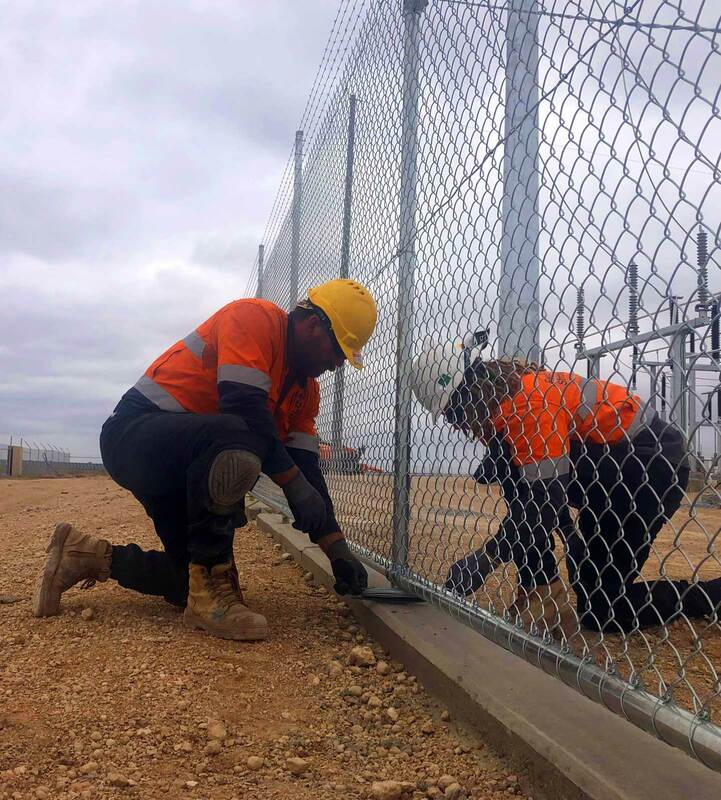 PLC Fencing has extensive experience and unparalleled expertise in providing fencing for power utilities and energy infrastructure. 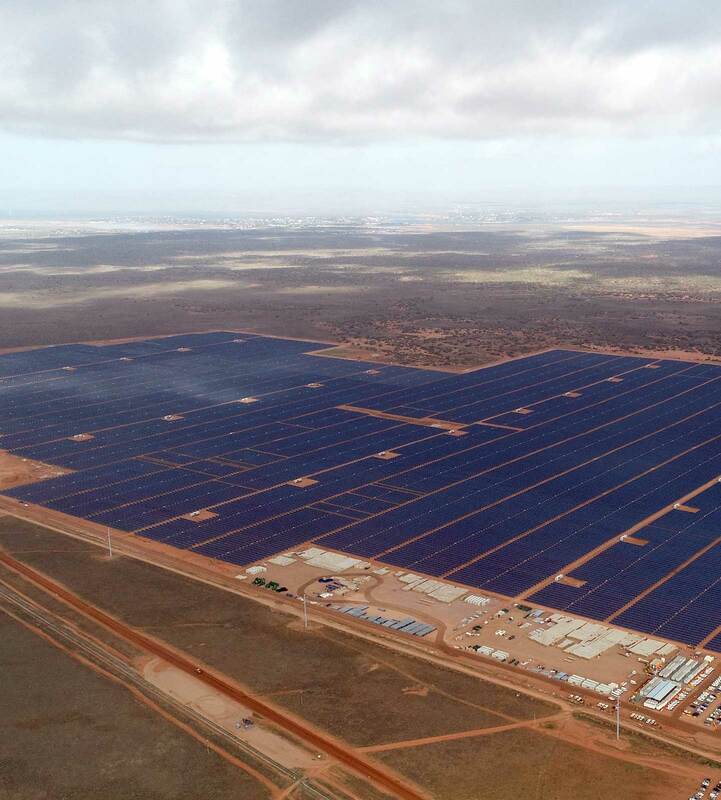 With the recent growth in development and investment in solar generation, we’ve been able to effortlessly transition to the specific needs of solar farms. We service solar farm projects with complete ease and unwavering confidence in our ability to deliver exceptional results. 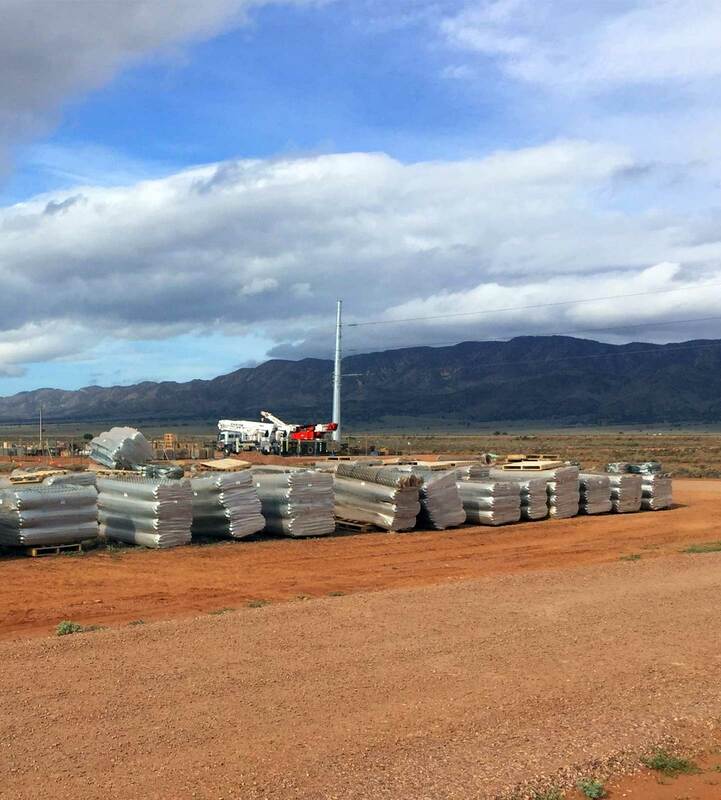 PLC Fencing has recently delivered fencing projects on the Bungala Solar Farm, near Port Augusta, and at the Tailem Bend Solar Power Project. The latter included the additional drilling of 50,000 holes into hard rock—for pile installation—taking advantage of our heavy-duty rock-drilling equipment. 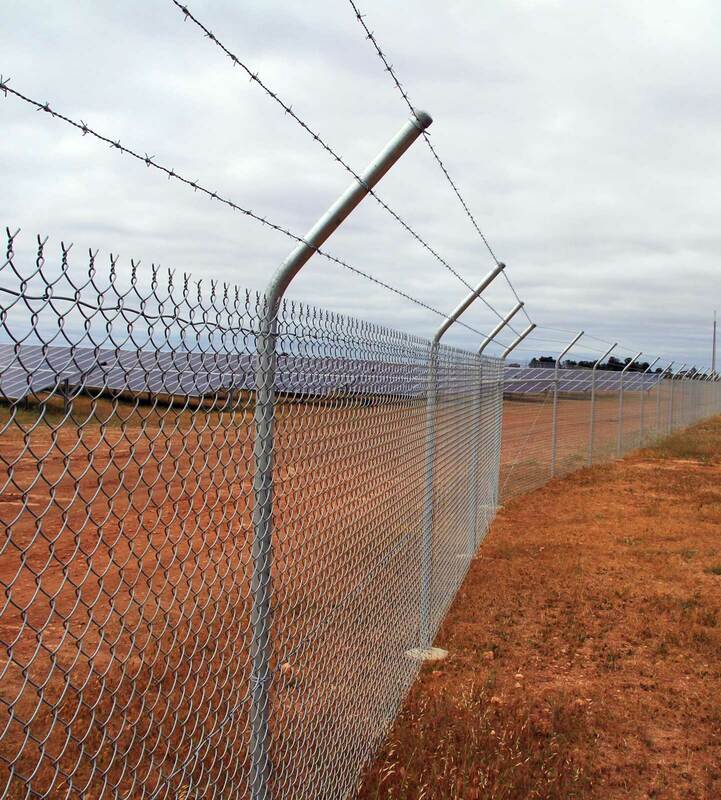 Our work isn’t confined to perimeter security of solar farms, we’re experts at constructing and installing specialised fencing for substations and battery energy storage systems. Remote locations? Difficult conditions? Construction of enormous scale? It’s never a problem. We’ve got what it takes, straight up.